Our traditional Festival of Nine Lessons and Carols, with University Music’s chamber choir and chamber orchestra, will take place in St. Peter’s Church, Bournemouth on Thursday 13th December at 6pm. 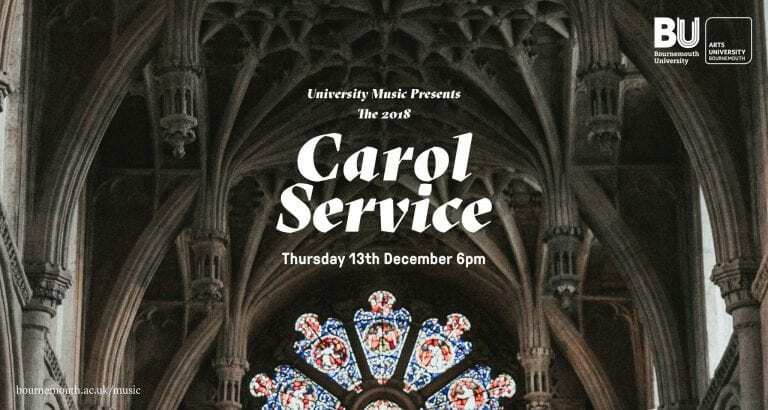 This is a traditional service following the pattern famously used at King’s College, Cambridge and will feature some splendid choral music as well as all your favourite carols. All are welcome, admission is free and refreshments will be served after the service. Please do join us and bring family and friends along. Admission free, all welcome, refreshments provided.